Abbott (NYSE: ABT) today announced it received approval from the U.S. Food and Drug Administration (FDA) for XIENCE Sierra™, the newest generation of the company's gold-standard XIENCE everolimus-eluting coronary stent system. XIENCE stents are among the world's most-used and studied stents and have an exceptional safety record with low rates of complications. Design and technology advances in this generation of XIENCE include features specifically designed for the treatment of complex blockages that now account for up to 70 percent of cases. Medtronic plc (NYSE: MDT) today announced the U.S. Food and Drug Administration (FDA) approval and U.S. launch of the Resolute Onyx™ Drug-Eluting Stent (DES). The Resolute Onyx DES builds on the proven clinical performance and superior deliverability of the Resolute Integrity™ DES to further strengthen the gold standard safety and efficacy of DES technology. There’s a lesson for the Absorb BVS in the history of interventional cardiology (an area of particular interest in this 40th anniversary of angioplasty year). Andreas Gruentzig, the inventor of coronary angioplasty had very specific requirements of physicians who were going to start using his balloons, and he also resisted the urge to over-publicize. As of Wednesday, January 4, St. Jude Medical will no longer exist as a company; instead it will become part of Abbott, according to the press release below. This $25 billion deal is one of the largest recent mergers of medical device companies since Medtronic's 2015 acquisition of Covidien. Abbott (NYSE: ABT) announced today that the Ministry of Health, Labor and Welfare (MHLW) in Japan has approved the company's Absorb bioresorbable heart stent, making the first-of-its-kind medical device commercially available to treat people in Japan with coronary artery disease. Absorb is the only fully dissolving heart stent approved in Japan for the treatment of heart disease, one of the leading causes of death in Japan and worldwide. The RevElution trial enrolled 101 patients at 14 centers in three countries in two different cohorts measuring outcomes at nine months and 24 months. In the first 50 patients included in the nine-month primary endpoint cohort, the DFS had in-stent late lumen loss of 0.26mm, which was non-inferior to the historical control (p<0.001). In addition, the DFS demonstrated low rates of target lesion failure (2.1%) and zero stent thrombosis at nine months. In the BIO-RESORT study, the primary composite endpoint of target vessel failure at one-year showed no statistically significant difference in outcomes for the Resolute Integrity DP-DES treated group (N=1173) at 5.4% compared to 4.7% with the Synergy BP-DES (N=1172) arm and 4.7% with the Orsiro (N=1169) BP-DES am (difference of 0.7%; p=0.45 for Synergy and p=0.46 for Orsiro). The one year outcomes also found no statistically significant difference in stent thrombosis between Resolute Integrity and the BP-DES groups (difference of 0.1%; p=0.77). In Part One of this feature, we reported on the various positives and negatives of the BVS, as presented to the FDA panel that recommended approval. Now that this device has been approved by the FDA, we discuss in Part Two the Absorb's potential impact in the United States with three leading interventional cardiologists, Drs. Ajay Kirtane, James Blankenship, and Daniel Simon. Abbott (NYSE: ABT) announced today that Health Canada has approved the company's Absorb bioresorbable heart stent, making the first-of-its-kind medical device commercially available to treat people in Canada with coronary artery disease. Abbott's Absorb heart stent is a first-of-its-kind medical device that is made of a naturally dissolving material. After opening up a clogged heart artery, Absorb completely dissolves in about three years. Abbott announced today that the U.S. Food and Drug Administration has approved the company's Absorb bioresorbable heart stent, making the first-of-its-kind medical device commercially available to treat people with coronary artery disease in the United States. Absorb disappears completely in approximately three years, after it has done its job of keeping a clogged artery open and promoting healing of the treated artery segment. This is the first installment of a two part feature regarding current thinking about the Bioresorbable Vascular Scaffold. Part One discusses the history and some general background issues surrounding the device; Part Two (to be posted at a later date) consists of comments from leading interventional cardiologists about the current and future implications, predictions, critiques, and recommendations for the utilization of BVS. Abbott (NYSE: ABT) announced today that an independent panel of experts convened by the U.S. Food and Drug Administration (FDA) voted 9 to 0, with one abstention, that the benefits of Abbott's Absorb fully bioresorbable drug eluting coronary stent outweigh the risks. Boston Scientific (NYSE: BSX) announced this morning that its Eluvia™ Drug-Eluting Vascular Stent has received the CE Mark for use in treating peripheral artery disease in the superficial femoral and proximal popliteal arteries. The company states that the Eluvia is the first polymer-based DES approved in Europe for use in the peripheral arteries. New Jersey-based Svelte Medical Systems, Inc. announced this week the launch of its novel SLENDER IDS stent-on-a-wire in Europe and other countries that accept the CE Mark. Svelte is planning to submit a PMA application to the US FDA this year. The SLENDER IDS gained the CE Mark last month and the company is now making the product available to select accounts in Europe that specialize in the transradial approach. Today Mercator MedSystems announced the start of a clinical trial for its Bullfrog® Micro-Infusion Device which will treat the blockage post-angioplasty (or atherectomy) with a dose of dexamethasone, an anti-inflammatory steroid, in the hopes of preventing the build-up of scar tissue which leads to restenosis of the vessel. Prof. Dr. Dierk Scheinert commented, "We are very excited with the start of this important clinical trial. There remains a real need for enhancements in therapy for treating patients with critical limb ischemia (CLI). We aim to show with this trial that the therapy can improve the outcomes in this desperate condition." Svelte Medical Inc., a relatively small device manufacturer based in New Jersey today achieved a milestone: the CE Mark approval that will allow the company to commercialize its novel stent-on-a-wire in Europe and other countries that accept the CE Mark. Svelte hopes to submit a PMA application to the FDA in 2016. The approval was based mainly on the results of the DIRECT II study of 189 patients which showed no stent thrombosis at four years and efficacy, measured by target vessel failure and in-stent late loss, at least as good as the standard drug-eluting stents currently on the market. Called a DFS ("drug-filled stent") it is both a drug-eluting stent AND a bare metal stent, utilizing the same stent construction that Medtronic currently uses in its Resolute Integrity and Onyx stents. The stent is fashioned from a single strand of metal that can have several "inner cores." In the DFS, the drug is contained in a reservoir, inside the stent, and slowly eluted through small laser-drilled holes in the metal outer core. The results, which showed that ABSORB III met its primary endpoint and will be used to support regulatory approval of Absorb in the U.S., were featured today during a late-breaking session at the 27th Transcatheter Cardiovascular Therapeutics (TCT), the annual scientific symposium of the Cardiovascular Research Foundation. In addition, the study results were published simultaneously in The New England Journal of Medicine. Boston Scientific (NYSE: BSX) has received FDA approval for the SYNERGY™ Bioabsorbable Polymer Drug-Eluting Stent System (BP-DES) for the treatment of coronary artery disease. Boston Scientific will commence commercialization of the first and only BP-DES in the U.S.
Mount Sinai Launches TWILIGHT: Is Ticagrelor Alone Superior to DAPT Post-PCI? Today Mount Sinai Medical Center in New York announced the launch of a new and very large randomized clinical trial to test the safety and efficacy of ticagrelor alone versus ticagrelor and aspirin together in high risk PCI patients. The international study, called TWILIGHT, aims to enroll 9,000 patients at 100 sites in the U.S., Canada, Europe, South America, and Asia. The study is being funded by AstraZeneca, the manufacturer of the blood-thinner ticagrelor (brand name Brilinta). Medtronic plc (NYSE: MDT) today announced the launch of its Entrust™ delivery system in the United States. The new Entrust delivery system enables physicians to place Medtronic's EverFlex™ self-expanding peripheral stent, while maintaining a low profile and providing the ease of a one-handed device. Medtronic Begins Testing a "Drug-Filled Stent"
Today Medtronic announced the first study of a novel stent concept, the "drug-filled stent" or DFS. It is both a drug-eluting stent AND a bare metal stent, utilizing a stent construction that Medtronic currently uses in its Resolute Integrity and Onyx stents. The stent is fashioned from a single strand of metal that can have several "inner cores." In the DFS, the drug is contained in a reservoir, inside the stent, and slowly eluted through small holes in the metal outer core. Today Medtronic plc (NYSE: MDT) announced that it is beginning the U.S. pivotal trial for its new drug-eluting stent, the Resolute Onyx™. The Onyx received the European CE Mark in November and has been available in countries that recognize the CE Mark. The first phase of this trial will be studying one of the most challenging clinical scenarios: blockages in arteries that measure as small as 2.0mm. Normally drug-eluting stents are not used in arteries this narrow because of the increased incidence of stent thrombosis and restenosis. But the Onyx has thinner struts than the first and second generation DES devices and has shown positive outcomes in these narrow vessels. Today Medtronic plc (NYSE: MDT) announced that its Euphora™ Semicompliant Balloon Dilatation Catheter has received the CE (Conformité Européene) mark and that the product has been launched, the first case being performed by Dr. Richard Edwards in the UK. While most think of stents when they think of interventional cardiology, balloons play an important role in percutaneous coronary interventions (PCI). Svelte Medical Systems, Inc., manufacturers of the unique drug-eluting coronary stent fixed wire Integrated Delivery System (IDS), sometimes called a "stent-on-a-wire," and ASAHI INTECC, the top Japanese maker of guidewires used in interventional procedures, have announced a manufacturing and co-promotion agreement. ASAHI will design and manufacture the wire tip of the Svelte IDS stent, using its latest ACTONE technology, and also will be partnering with Svelte in the stents promotion. A new sub-analysis of 226 patients from the CoreValve High Risk Study showed benefits over surgical aortic valve replacement (SAVR) for high risk patients who had received CABG prior to their valve replacement procedure. The primary endpoint of all-cause mortality or major stroke at one-year was 11.4% in the TAVR group vs. 21.8% for SAVR group, and reached significance with a p value of 0.04. Almost two decades ago, interventional cardiology pioneer Dr. Spencer B. King III penned an article for Circulation titled, "Angioplasty From Bench to Bedside to Bench." Dr. King's article was a recounting of the history of the development of the angioplasty balloon catheter by his colleague at Emory University, Andreas Gruentzig. This morning, the title of his article took on new meaning, as Supreme Court Justice Ruth Bader Ginsburg entered the courtroom and took her seat, engaging in several complex legal arguments concerning mortgage loan officers, Facebook threats, and more. Supreme Court Justice Ruth Bader Ginsburg, 81, was released from the hospital this morning, one day after a stent was placed in her right coronary artery (RCA). According to yesterday's official statement from the Supreme Court, "The coronary blockage was discovered after Justice Ginsburg experienced discomfort during routine exercise last night and was taken to the hospital. She is resting comfortably and is expected to be discharged in the next 48 hours." It was only 24 hours. One of the last late breaking clinical trials to be presented at this year's American Heart Association Scientific Session may prove to be the pivotal trial of the first bioabsorbable polymer stent technology available to patients in the U.S., if approved by the FDA. Presented by Dr. Dean J. Kereiakes, medical director, The Christ Hospital Heart & Vascular Center/The Lindner Research Center, Cincinnati, Ohio, the one year data from the EVOLVE II Clinical Trial of Boston Scientific's investigational SYNERGY™ Bioabsorbable Polymer Stent, showed very low rates of target lesion failure (6.4%) and stent thrombosis (0.4%). "Longer is better." That's what Dr. Dean Kereiakes told Angioplasty.Org when characterizing the results of the long-awaited Dual Antiplatelet Therapy (DAPT) study, which were presented today at the annual American Heart Association Scientific Sessions in Chicago. Dr. Kereiakes is the co-principal investigator for this five year study of 10,000 patients, which adds to the knowledge base of whether long-term treatment with aspirin and a thienopyridine, such as Plavix, after stent implantation is beneficial to patients. To help educate people about this connection with heart disease, and provide materials to help with prevention, as well as treatment, Medtronic has announced that it is continuing its sponsorship of the American Diabetes Association's Make the Link! Diabetes, Heart Disease and Stroke initiative for a second year. The "Make the Link" website has a series of downloadable information packets to help educate people about diabetes and coronary artery disease (CAD). The Resolute Onyx™, a new drug-eluting stent from Medtronic has received approval from the Conformité Européene and, according to the company, is now available in countries that recognize the CE Mark. This new stent builds on the success of the Resolute Integrity; what makes the Onyx different is that the wire itself consists of a dense inner core, wrapped in a cobalt alloy outer layer. Dubbed CoreWire Technology, this enhancement makes the stent more radiopaque (easier to see under fluoroscopy), and stronger, even though the struts are thinner. Today Boston Scientific enrolled its first patient in a new trial, dubbed PLATINUM Diversity trial, which will enroll up to 1,500 patients from these under-represented populations, specifically: Female, Black of African Heritage, Hispanic/Latino, American Indian or Alaska native. The trial will measure the performance of its drug-eluting stent, the Promus PREMIER™ Everolimus-Eluting Platinum Chromium Coronary Stent System, in these groups. The principal investigators for the PLATINUM Diversity trial are Roxana Mehran, MD of Mount Sinai School of Medicine n New York, and Wayne Batchelor, MD of Tallahassee Memorial Hospital in Florida. Take away the everolimus-eluting polymer from Boston Scientific's FDA-approved Promus PREMIER™ stent and what do you have? The REBEL bare metal stent, which just received FDA approval. The announcement of this new bare metal stent may seem anticlimactic, except that there is still a market for non-drug-coated stents. There are instances when, for one reason or another, patients are not ideal candidates for drug-eluting stents. A clinical trial for a novel concept coronary stent will soon start enrolling patients in the United States: the COBRA PzF™ coronary stent system was given an investigative device exemption (IDE) by the FDA last month and will shortly begin recruiting at 14 U.S. hospitals; 13 outside U.S. sites have already started the process. Today, Abbott announced that it has completed enrollment of not one, but three pivotal clinical trials to support approval of the Absorb BVS in the United States, Japan, and China, three countries that comprise 50% of the global market for stents. The trials pit the Absorb Bioresorbable Vascular Scaffold against Abbott's flagship everolimus-eluting XIENCE stent in almost 3,000 patients worldwide. According to research presented at the American College of Cardiology's 63rd Annual Scientific Session, the use of Medtronic's Endeavor zotarolimus-eluting stent is associated with a lower risk of major cardiovascular events at one year compared to bare metal stents among a patient population normally excluded from treatment with drug-eluting stents. The positive finding in ZEUS for patients receiving a shorter than currently recommended course of blood thinners may call into question existing guidelines for a more prolonged antiplatelet therapy following placement of drug-eluting stents. Take away the everolimus-eluting polymer from Boston Scientific's FDA-approved Promus PREMIER™ stent and what do you have? The REBEL bare metal stent, which just received CE Mark approval last week and is now available for the European market. REBEL is probably a good name for this device, in that it "rebels" against the historical norm, wherein a bare metal stent platform first gets approved for safety and efficacy, and only then gets coated with a drug-eluting polymer, is tested in clinical trials, gets CE Mark approval and finally FDA approval. It's been over 35 years since the first angioplasty was performed in Zurich by Dr. Andreas Gruentzig, but it was just yesterday that this minimally invasive procedure arrived in Australia's Northern Territory. As reported today by Sky News, Dr. Marcus Ilton, chief cardiologist at Royal Darwin Hospital, performed the first angioplasty and stent implantation ever done in the NT. Are third generation drug-eluting stents interchangeable? And what exactly is a "third generation" drug-eluting stent anyway? These were questions addressed by the DUTCH PEERS randomized clinical trial, recently published in The Lancet. The results showed that the Resolute Integrity was non-inferior to the Promus Element. There was, however, one parameter in which the two stents were not the same: longitudinal stent deformation. Six months ago, former President Bush received an angioplasty and stent. The stent was recommended by Bush's doctors to open a blockage in one of his coronary arteries, found during his annual physical exam. The next week saw numerous articles in the mainstream media and professional publications questioning whether this stent was necessary. So…at this year's CRT 2014 meeting, held annually in Washington, D.C., Dr. Ron Waksman and the rest of the organizers have arranged for George W. Bush to be a featured speaker. And they have been emailing all potential attendees with the subject line, "Submit a Question for President Bush!" Chronic total occlusions (CTO) historically have been one of the most difficult and challenging areas for minimally invasive treatment with angioplasty and stents. This $3.4 million grant being given to Saint Luke's Mid America Heart Institute by Boston Scientific will aid in helping to "better define the success, safety, health benefits, and cost-effectiveness of novel methods to open challenging blocked coronary arteries previously thought untreatable through minimally invasive techniques." FDA Approves Medtronic's CoreValve; Device Available Immediately in U.S. This morning the U.S. Food and Drug Administration approved Medtronic's self-expanding transcatheter CoreValve® system for patients who are too sick to withstand traditional aortic valve replacement open heart surgery. Although an approval had been expected during the first half of this year, today's announcement took the cardiology community by surprise. The CoreValve sytem is now the second transcatheter aortic valve device available in the U.S., breaking the monopoly currently enjoyed by the Edwards Sapien valve for high risk patients. 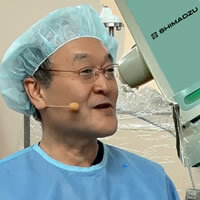 A Medtronic spokesperson confirmed to Angioplasty.Org that the CoreValve is available as of today for use in the United States. Boston Scientific Corporation (NYSE: BSX) has received U.S. Food and Drug Administration (FDA) approval for the Promus PREMIER™ Everolimus-Eluting Platinum Chromium Coronary Stent System, the company's next-generation durable polymer drug-eluting stent (DES). The technology is available immediately in the U.S., with the first implantation scheduled to be performed by Martin Leon, M.D., director, Center for Interventional Vascular Therapy at Columbia University Medical Center / New York-Presbyterian Hospital, New York City. When Fractional Flow Reserve (FFR) has been used as a decision-making tool in the DEFER, FAME and FAME II studies, the use of stenting declined by one-third, saving costs for the healthcare system and significantly improving outcomes for patients. One drawback to FFR, however, is that a vasodilator, such as adenosine, must be given to the patient to measure the blood flow accurately: this increases costs and often causes discomfort for the patient. In the past few years, however, a new measurement has been developed by researchers in London and is being commercialized by Volcano Corporation (NASDAQ: VOLC). Called iFR (Instantaneous wave-Free Ratio) a functional measurement of ischemia in an artery can be performed very quickly and without need for a vasodilating agent. Two-year results from the largest study to date of intravascular ultrasound (IVUS) use during angioplasty and stent placement were presented at the 25th Annual Transcatheter Cardiovascular Therapeutics meeting in San Francisco last week, and the numbers were pretty clear: IVUS use showed 53% less stent thrombosis, 38% lower rate of myocardial infarction (heart attack) and 34% less incidence of major adverse cardiac events (MACE). In the first head-to-head randomized controlled trial of "third-generation" durable-polymer drug-eluting stents for the treatment of coronary artery disease in an "all-comers" patient population, the Resolute Integrity drug-eluting stent (DES) from Medtronic, Inc. (NYSE: MDT) and the Promus Element DES from Boston Scientific Corp. performed similarly on all measures except longitudinal strength, which favored the Medtronic device. According to findings from several studies presented at the 25th annual Transcatheter Cardiovascular Therapeutics (TCT) scientific symposium, patients with coronary artery disease who received an Endeavor or Resolute drug-eluting stent from Medtronic, Inc. (NYSE: MDT) and subsequently interrupted their dual antiplatelet therapy (DAPT) earlier than current guidelines recommend experienced no increased risk of stent thrombosis at one year or more of follow up. Both devices elute the drug zotarolimus to reduce the risk of restenosis. The technical challenges with TAVI procedures that must be surmounted are many. Today, Medtronic announced that several of these limitations are being addressed in an initial study of 60 patients who will be treated with a new iteration of the CoreValve. The CoreValve® Evolut™ R Recapturable System has been designed to allow recapturing and repositioning of the valve during deployment, better conformability to an irregular annulus, and a delivery system that utilizes a smaller sheath to reduce the profile needed to access the patient vessel. I read yesterday morning that I was now a party to "The Great Coronary Angioplasty Debate." (Note to self: don't look at Twitter before Sunday brunch.) This all started a week ago, when Dr. Nortin Hadler posted an op-ed piece on The Health Care Blog, titled "The End of the Era of Coronary Angioplasty." He opined that angioplasty was unnecessary in the setting of a major heart attack (a.k.a. STEMI) and might even worsen outcomes. His title and thesis was so over-the-top (intentionally so, I'm sure) that I felt obliged to pen a response to his very anti-stent article. Medtronic, Inc. (NYSE: MDT) has announced a number of updates and presentations that will be made at the upcoming Transcatheter Cardiovascular Therapeutics (TCT) meeting in San Francisco, the largest gathering of interventional cardiologists and related healthcare professionals in the U.S. This year marks the 25th annual TCT. Perhaps the most anticipated data for Medtronic will be from the first U.S.-based CoreValve trials of a self-expanding transcatheter heart valve in patients suffering from severe aortic stenosis. Angioplasty, Stents or Fibrinolytic Therapy for Heart Attacks? How does a physician treat a heart attack where the blood flow to the heart muscle is suddenly cut off by a blocked artery? In the most severe cases, the ST segments on the ECG are elevated, signalling that a major part of the heart muscle is at risk. It's called a STEMI (ST-Elevated Myocardial Infarction). And, if you subscribe to the concept that the heart and circulation are like the plumbing in your house, like Dr. Charles Dotter did (he invented the concept of angioplasty and, in his offbeat humorous way, he used the graphic to the left as his logo), then you would assume there are two major ways to treat the problem: use Drano to dissolve the blockage or use a mechanical roto-rooter to clear it out. R.I.P. Angioplasty 1977-2013 – Really? My first thought upon seeing this Op-Ed piece posted today on The Health Care Blog was that it was yet another article railing against the overuse of stents in patients with stable angina. But, as I continued to read the article, I saw that Dr. Hadler's premise is that angioplasty may not be necessary even in the severe cases of STEMI, and that clot-busting drugs could achieve the same outcomes at less expense and less risk for the patient. He spends most of his article discussing the recent STREAM study. Cook Medical's Zilver® PTX® drug-eluting stent for use in the treatment of peripheral artery disease shows excellent outcomes at four years when used in the superficial femoral artery (SFA). After four years the Zilver PTX showed a primary patency of 75% compared to only 57.9% for the BMS, representing a 41% reduction in restenosis at four-years. Marking what Medtronic, Inc. (NYSE: MDT) is calling a major advance for the interventional treatment of peripheral artery disease, the FDA has expanded the indications for Medtronic's Complete SE vascular stent to treat atherosclerosis in the superficial femoral artery (SFA) and proximal popliteal artery (PPA), the vessels which carry blood through the upper legs. Specialists at Stony Brook University Heart Institute in Stony Brook, New York, have begun enrollment in a clinical trial investigating the first cardiovascular stent that opens a heart vessel the same way as metallic stents but then dissolves away naturally. The new stent could prove to have benefits over standard metallic drug-eluting stents in relation to vessel blood flow and how much natural motion returns to the vessel after it dissolves. The Cardiovascular Research Foundation (CRF) has announced the late breaking trials and first report investigations that will be presented at next month's Transcatheter Cardiovascular Therapeutics (TCT) 2013 scientific symposium. TCT, the world's premier educational meeting specializing in interventional cardiovascular medicine, will take place October 28 - November 1, 2013 at The Moscone Center in San Francisco, California. When news reports about former President George W. Bush receiving a coronary stent were published this past Tuesday, the blogosphere and twitterverse erupted. Much of the ensuing commentary and critique was directed at the circumstances and diagnostic pathway that led to Bush's angioplasty. Reacting to the many comments critiquing the decision to put a stent in Bush's artery, Scott Huennekens, the President and CEO of Volcano Corporation, one of two manufacturers of FFR catheters (St. Jude is the other), put out the following statement on Friday. Cook Medical of Bloomington, Indiana is once again shipping its Zilver PTX drug-eluting stent for use in treating peripheral artery disease. The company reports that the FDA has approved their fix of the catheter tip separation problem that prompted Cook's voluntary recall in April, followed by an FDA Class I recall a month later. Former President George W. Bush received an angioplasty and stent this morning at Texas Health Presbyterian Hospital Dallas. The stent was recommended by Bush's doctors to open a blockage in one of his coronary arteries, found yesterday during what was described by Bush spokesman Freddy Ford as his annual physical exam at the Cooper Clinic in Dallas. But was this procedure necessary? Abbott (NYSE: ABT) announced this morning that the Japanese ministry has approved the company's newest generation XIENCE Xpedition™ Everolimus Eluting Coronary Stent System for use in treating coronary artery disease. This approval represents an important step forward for Abbott -- Japan is a major market for stents and Abbott's stent sales have dropped this past year, especially in the U.S.
Commentary from the Editor: The whole marketing message of "our stent beats your stent" has just become so Early 21st Century. Times have changed: Cordis is no longer in the coronary stent business and Boston Scientific is trading at 15% of what it was back then. And devices have changed: they have all gotten much better. These days, most drug-eluting stents studies show outcomes that are pretty close. Indiana-based medical device company Cook Medical is celebrating its golden anniversary as a company today. It was 50 years ago in 1963 that angioplasty pioneer William ("Bill") Alfred Cook started Cook Medical in the spare bedroom of his Bloomington, Indiana apartment. Today the Cook Group consists of 42 companies employing more than 11,000 people at 15 manfacturing sites in the United States, Europe, Asia and Latin America. Two year results from the TWENTE clinical trial, which compared two second-generation drug-eluting stents, are reported in the current issue of the Journal of the American College of Cardiology. At one-year, the two stents, Medtronic's Resolute zotarolimus-eluting stent and Abbott's Xience V everolimus-eluting stent, had similar clinical outcomes in 1,391 "real-world" patients, randomized 1:1 to either stent. At last month's EuroPCR meeting, the one-year results of a novel new stent showed impressive results. Although this was a small pilot first-in-human study for safety and efficacy, enrolling only 30 patients, at twelve months there were no cases of either clinically-driven target lesion revascularization or stent thrombosis. And, as measured by OCT, more than 98% of the stent struts were covered by endothelium. Guest post from Dr. Frank J. Criado, Editor in Chief of Vascular Disease Management, examines a recent meta-analysis of DES vs BMS for therapy below the knee. The study was authored by Dr. George A. Antoniou et al from the Manchester Royal Infirmary in the UK and apeared in a recent issue of the Journal of Endovascular Therapy. USA Today Claims Stents and Angioplasty "Often Unnecessary"
Yesterday's edition of USA Today carried an article by Peter Eisler titled, "Six common surgeries often done unnecessarily" — and, you guessed it, angioplasty and stents were at the top of the list. I was a bit taken aback because I was not aware of any new study, federal or independent, that concluded stents were being vastly over-used. And it turns out that there wasn't one. Medtronic, Inc. (NYSE: MDT) announced today that its IN.PACT Admiral drug-eluting balloon clinical program had reached the enrollment needed to support submission to the FDA for approval to use this novel device in the treatment of peripheral disease, specifically blockages in the superficial femoral artery. Although the IN.PACT family of drug-eluting balloons (DEB) have been available in Europe for over four years, no drug-eluting balloons have been approved for use in the United States. Medtronic today announced FDA approval for the newest additions to its endovascular aortic aneurysm repair product line: the Endurant II Aorto-Uni-Iliac (AUI) Stent Graft System and the Sentrant Introducer Sheath. The company also announced that these devices will be on exhibit at the Medtronic booth during the Society for Vascular Surgery's "Vascular Annual Meeting 2013," which starts today May 30 and runs through the weekend at the Moscone Center in in San Francisco. Abbott (NYSE: ABT) announced this week that it has gained European CE Mark approval for its 48mm XIENCE Xpedition everolimus-eluting coronary stent, making it the longest coronary stent currently available. Prior to this approval, the longest drug-eluting stent (DES) was 38mm, available from several manufacturers. Today the U.S. Food and Drug Administration issued a Class I recall of the Zilver PTX Drug-Eluting Peripheral Stent. One month ago, Cook Medical, the device manufacturer, issued its own voluntary recall. It was not immediately clear as to why the FDA has now issued its own recall. This week Medtronic, Inc. (NYSE: MDT) announced that the most recent addition to its portfolio of aspiration catheters, the Export Advance, has received the CE Mark and will soon be launched in Europe and other markets. To date, over one million patients have been treated using Export aspiration catheters. Addressing one of the most common clinical challenges in the treatment of complex coronary artery disease, three separate analyses on the program for EuroPCR this week show how strongly the Resolute drug-eluting stent from Medtronic, Inc. (NYSE: MDT) performs in coronary bifurcation lesions over the long term. Vascular specialists at Carolinas HealthCare System in Charlotte, N.C., and the Cleveland Clinic in Ohio recently performed the initial implants of a novel stent graft system from Medtronic, Inc. (NYSE: MDT) as part of a U.S. Food and Drug Administration (FDA) initiative designed to encourage more early-stage clinical research on new medical devices in the United States. These implants were among the first to be performed under this FDA early feasibility pilot program, which includes a total of nine medical devices from different companies. This week the Journal of the American College of Cardiology: Cardiovascular Interventions published an article detailing the two-year pooled analysis of outcomes from Medtronic's international RESOLUTE Global Clinical Program of over 5,100 patients: how this data showed positive results for the interventional treatment of patients with diabetes, and how these outcomes led the FDA to approve the Resolute Integrity for use in diabetic patients. Today the FDA Circulatory System Devices Panel spent many hours listening to testimony from Abbott Vascular, surgeons, cardiologists and patients about the MitraClip Clip Delivery System in order to decide in a final vote whether to recommend that the FDA approve the device for indication in patients too sick or not eligible for surgical mitral valve replacement, but healthy enough so that this device would provide significant benefit. Today's FDA Circulatory System Devices Panel of the Medical Devices Advisory Committee heard testimony from Abbott Vascular, surgeons, cardiologists and patients about the MitraClip Clip Delivery System and what its recommendations to the FDA would be regarding approval of the device. The votes were 8-0 on safety, 5-4 against efficacy, and 5-3 for a favorable risk-benefit ratio. Important news for stent patients and cardiologists alike: data from a new analysis of Medtronic's (NYSE: MDT) RESOLUTE drug-eluting stent program show very low occurrence of stent thrombosis when dual antiplatelet therapy (DAPT) is interrupted or discontinued after one month. Medtronic, Inc. (NYSE: MDT) today announced that its Resolute Integrity drug-eluting stent has received CE Mark approval for a labeling update to read, "...patients who interrupt or discontinue DAPT medication one month or more after stent implantation are considered at low risk and showed no increased risk for stent thrombosis." The Conformité Européenne decision was based on an analysis of 5,000 patients enrolled in the RESOLUTE Clinical Program, which at one year showed no stent thrombosis in the 907 patients who discontinued dual antiplatelet therapy (DAPT) after one month. Today Medtronic (NYSE: MDT) announced that its Engager™ Transcatheter Aortic Valve Implantation (TAVI) System with transapical delivery catheter has received the European CE Mark. This new system, which demonstrated positive clinical outcomes in its European Pivotal Trial, will offer a new option for patients with severe aortic stenosis who are at high risk for surgical aortic valve replacement. Medtronic Inc. (NYSE: MDT) announced this morning that its Resolute Integrity zotarolimus-eluting stent was approved by the FDA in two additional longer lengths, 34mm and 38mm. As the only drug-eluting stent (DES) currently approved by the FDA specifically for use in diabetic patients, the availability of stent lengths that can be used in long lesions, which are more common in diabetics, solidifies the positioning of the Resolute Integrity as a primary choice for the treatment of coronary artery disease in these patients. Medtronic, Inc. (NYSE: MDT) today announced financial results for the third quarter of fiscal year 2013, which ended January 25, 2013. One of fastest growing segments of this $4 billion company was the coronary division which grew 19% overall. Fueled by sales of its Resolute Integrity Zotarolimus-eluting stent, approved last year in the U.S. and Japan, drug-eluting stent quarterly revenue was up 42% to $274 million. Bristol-Myers Squibb (NYSE: BMY) is no longer offering its $37-a-month Plavix® Co-Pay Discount Card. And some patients are not happy about this. Additionally, according to the company's web site for "Patient Assistance Programs," the company is no longer making this life-saving drug available to patients who cannot afford it. This, of course, has something to do with the fact that brand-name Plavix has gone off patent and generic versions have been available since May 2012. But are the generic versions of clopidogrel really the same? Expanding its role in the treatment of peripheral artery disease, Medtronic, Inc. (NYSE: MDT) today announced the CE (Conformité Européene) mark and international launch of its Complete SE (self-expanding) vascular stent for use in the lower extremities –– specifically, the superficial femoral arteries (SFA) and proximal popliteal arteries (PPA), which supply blood to the legs. In the U.S., the Complete SE stent is approved by the FDA only for use in the iliac arteries. Its use in lower-extremity arteries in the United States is under review by the FDA. When I have interviewed Drs. Nico Pijls, Bernard De Bruyne, William Fearon, and Justin Davies, proponents of the modern-day fractional flow reserve (FFR) technology, I asked, "Isn't FFR the modern version of what Andreas Gruentzig was doing with pressure gradients when he first invented coronary angioplasty almost four decades ago?" And the answer was, "Absolutely, yes!" Medtronic, Inc. (NYSE: MDT), today announced completion of enrollment in IN.PACT SFA II, the U.S. arm of its clinical study for the IN.PACT Admiral drug-eluting balloon as a treatment for peripheral artery disease in the superficial femoral and proximal popliteal arteries (SFA and PPA). Results of IN.PACT SFA II will be combined with those from IN.PACT SFA I, which previously completed enrollment of 150 patients in Europe, to support a premarket approval (PMA) application to the U.S. Food and Drug Administration (FDA).